Even though summer doesn’t officially start until later in June, we’re already feeling the heat here in the South. One of the things most car owners don’t think about until there is a problem is their vehicle cooling system. This system is responsible for keeping your engine at the necessary operating temperature so it doesn’t get too hot when you’re driving. The most common problem people have with their automobile cooling system is overheating which can lead to a broken head gasket and costly repairs. 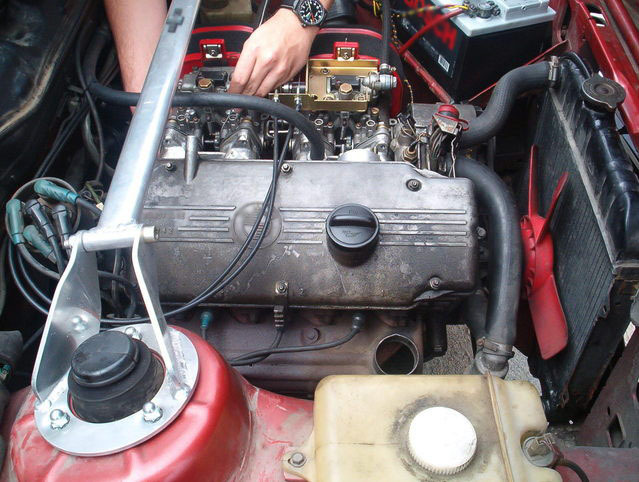 If the broken head gasket isn’t fixed quickly, it can lead to even worse problems and eventually total engine failure. While repairing a broken head gasket can range anywhere from $500 to $2,500 depending on your vehicle’s make, model and other factors, there are a couple of tips you can keep in mind to prevent such a problem. Most importantly, don’t ever let your coolant level get low. Check it regularly according to your car owner’s manual. If the engine is hot, the coolant should be at or slightly below the “max” fill line. If the engine is cold, the coolant should be at or slightly above the “minimum” fill line. If you notice that the coolant level is low, check for any leaks or breaks as soon as possible. Better yet, have a professional auto repair technician diagnose the problem for you. Even though a low coolant level is the most common cause of car engines overheating, pushing your car beyond its limits can be a problem too. For example, don’t use the vehicle beyond its capabilities like towing something beyond its towing capacity. Understanding your car’s cooling system capacity can help you know when you might not want to push the engine too hard like driving up a five-mile stretch of road at 7% grade in 100F weather. If you find that you often exceed your vehicle’s cooling system capacity, your auto repair shop might be able to help you install one with higher cooling capacity. As Austin drivers start blasting our car air conditioners in the hot, Texas summer heat and stop-and-go traffic, we’re going to start overloading our engine cooling systems again. Just be mindful of your engine performance, and if it looks like your car is overheating, have it checked out as soon as possible to avoid even more damage.